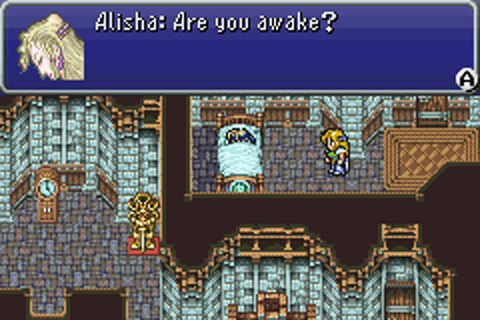 Creepiness? So you're saying that hitting on girls during life or death discussions about evil empires annexing territories that may -- oh, I see your point now. 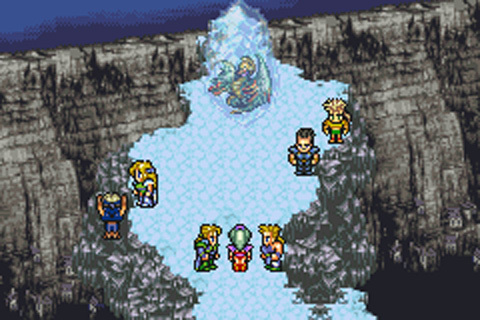 Thus the whole crew marches on towards the top of the mountain. 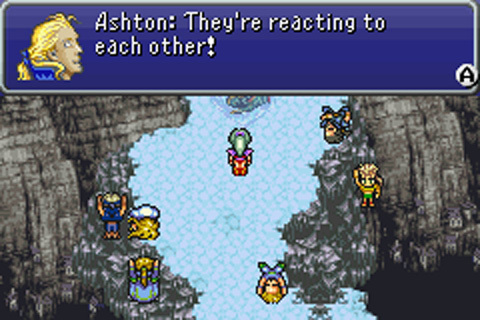 As Ashton hits rock bottom, they arrive at the top. 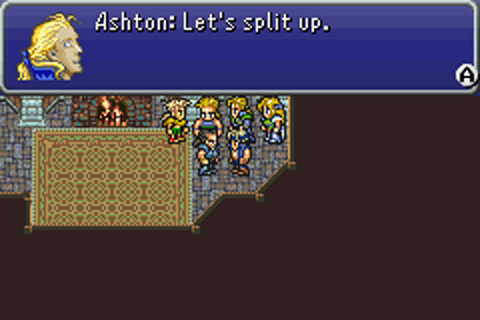 Ashton: Quick! 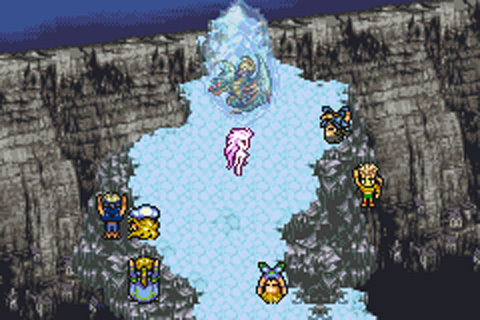 Strike a pose! 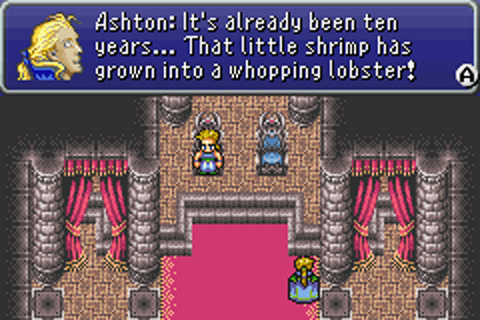 Ashton: Yeah, that's what I'm talking about. 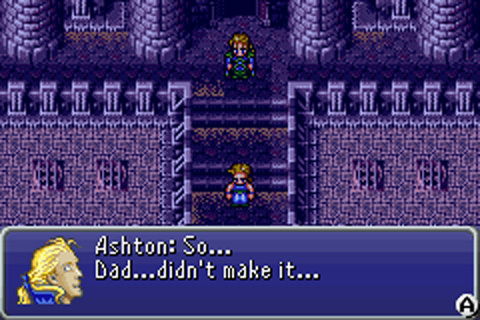 Ashton: Ugh... our cool pose was defeated by some sick rhymes. 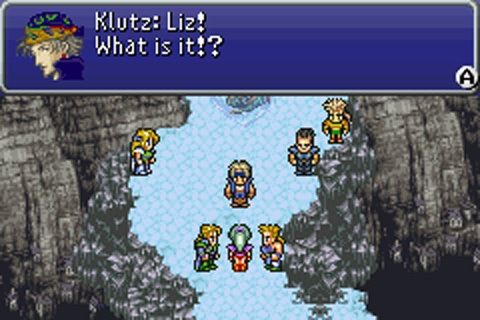 Klutz: Wait... what do we do now? 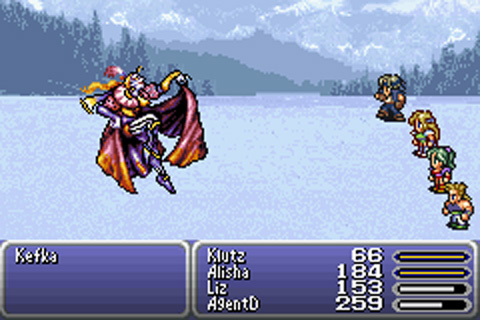 Klutz: That general of yours I saved her. 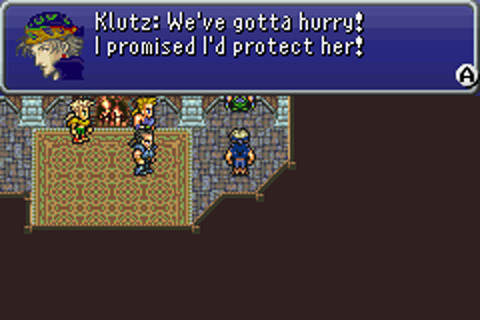 Klutz: Your henchmen were so bad I just went and told them smell ya later. 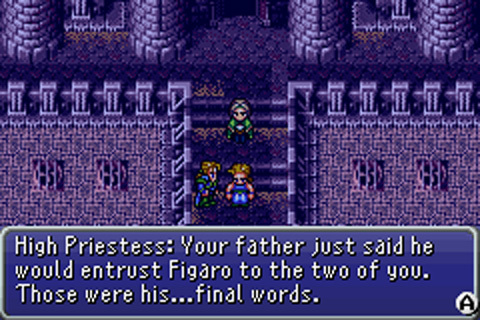 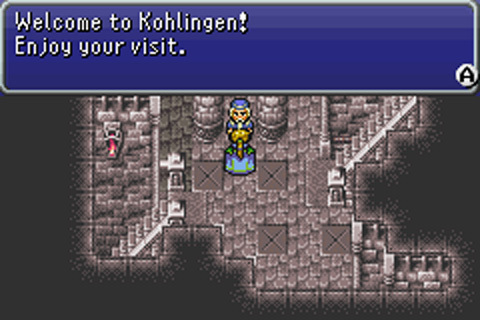 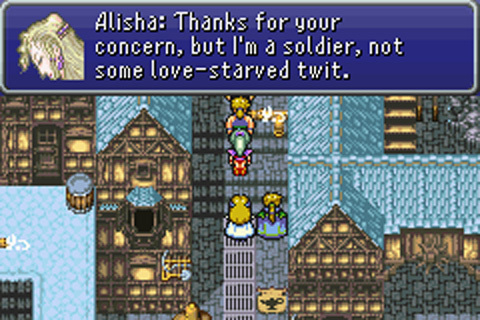 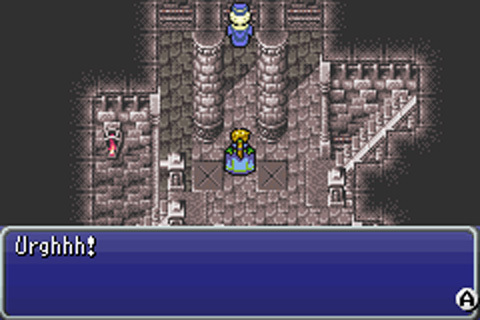 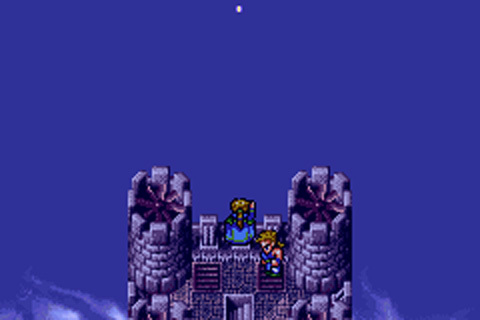 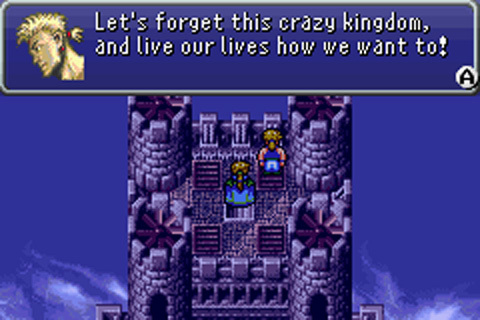 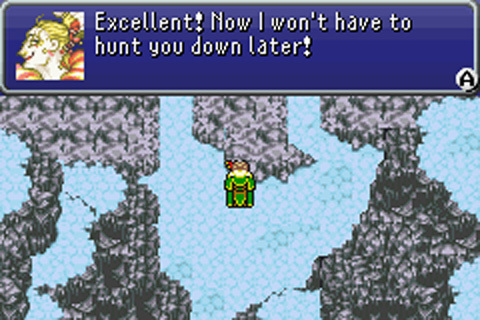 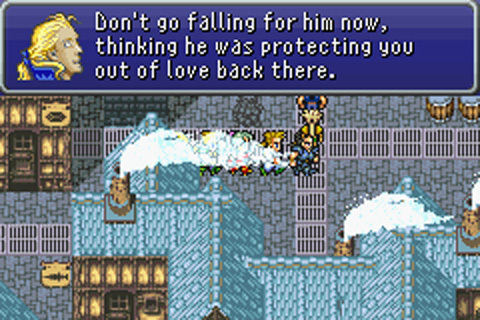 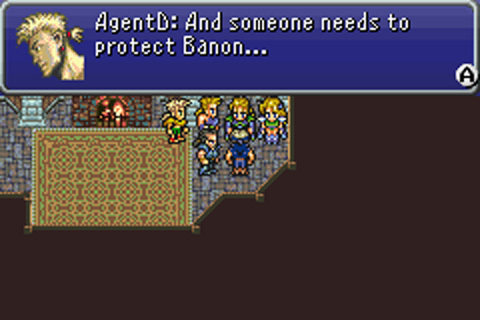 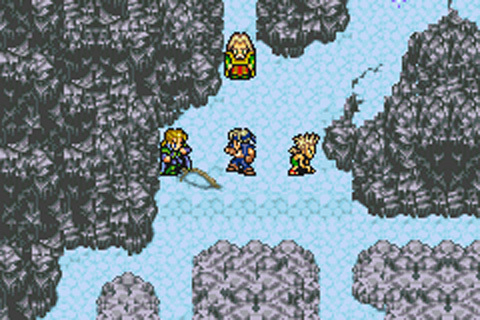 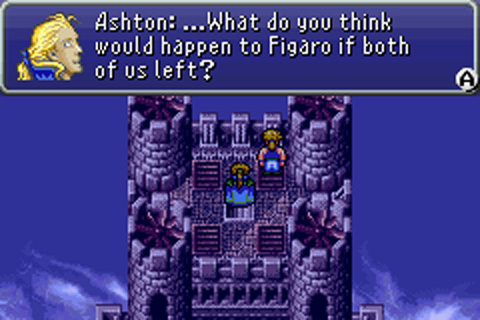 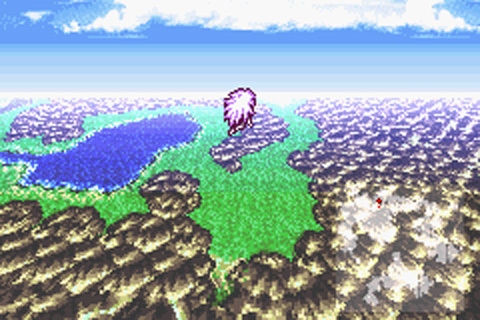 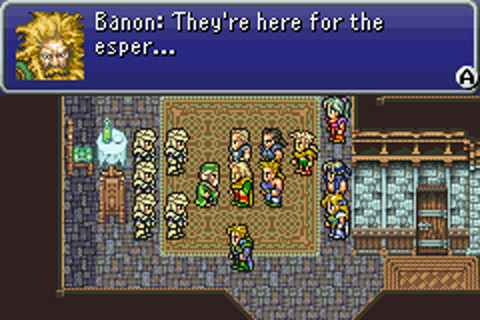 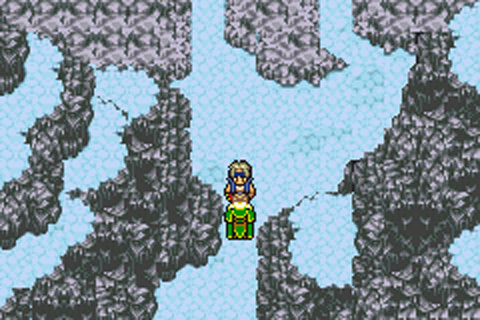 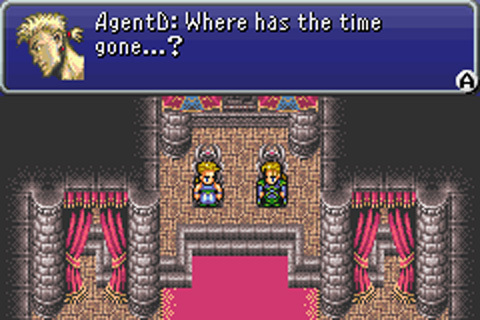 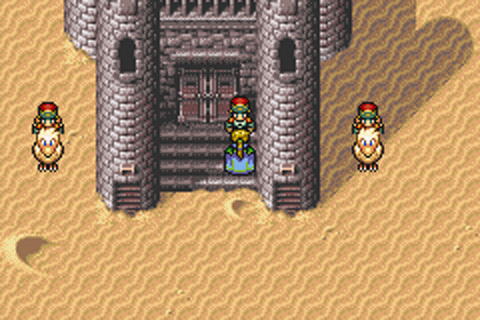 Kefka: What do I care for this deserter. 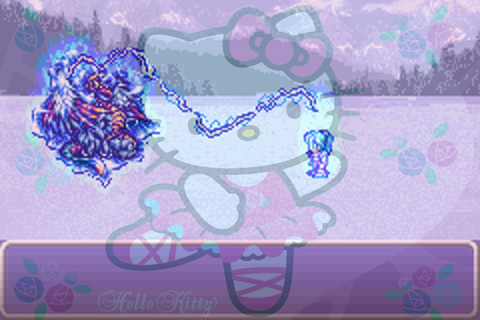 Kefka: If anything, she's so puny she's making your team weaker. 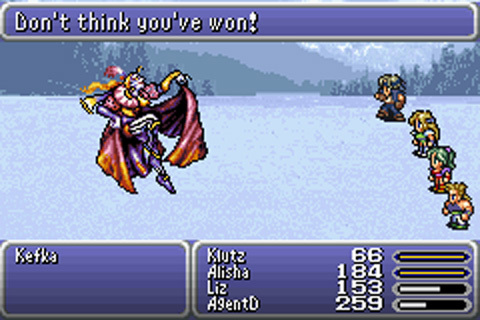 Klutz: Pffff... you're so weak we could beat you facedown. 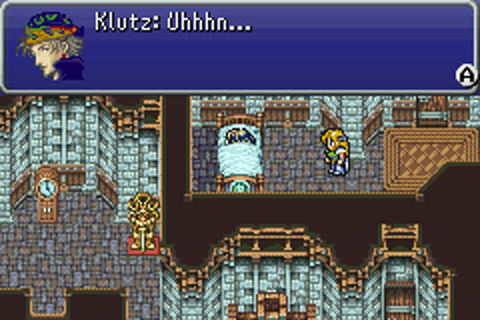 Klutz: Even children aren't afraid of a clown. 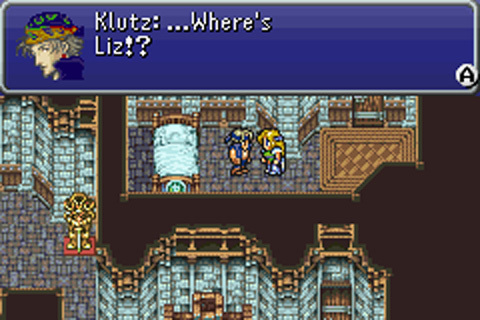 Klutz: Now leave before my sick burns scald. 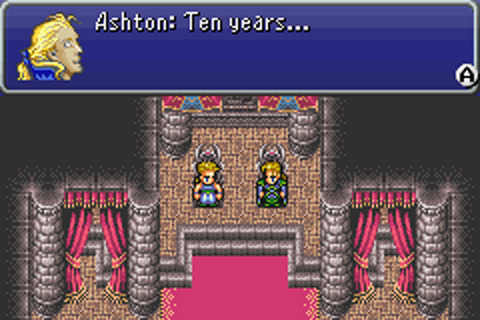 Klutz: But don't forget to give me my free smile Ronald. 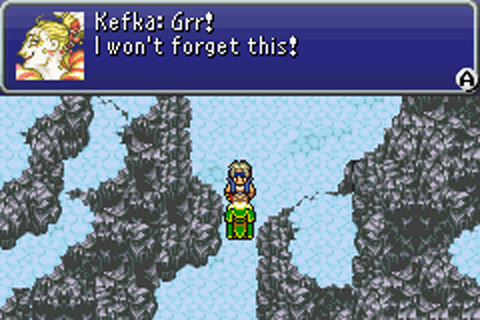 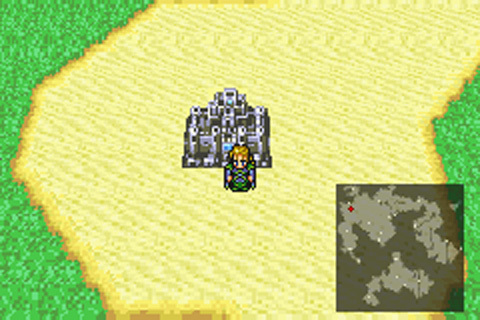 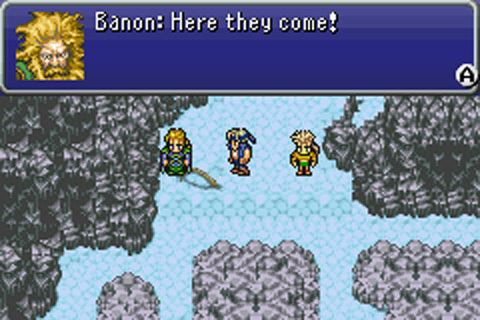 And so Kefka leaves with his troops; Licking his wounds. Meanwhile, the group goes topside to check up on the Esper. 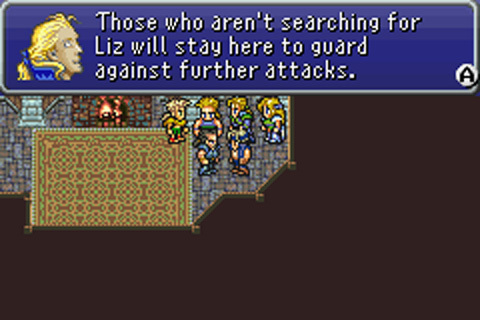 Eusis: What be thy issue lady Liz? 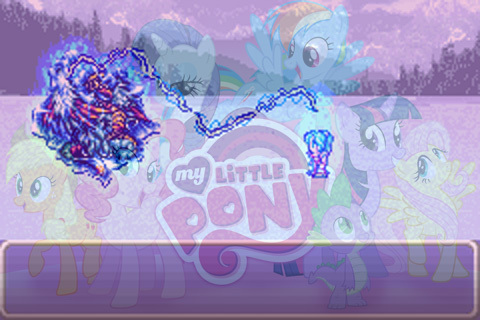 Liz's magical power suddenly explode as the others hang on to whatever they can. Liz: I AM THE HARBRINGER OF YOUR DESTRUCTION ! 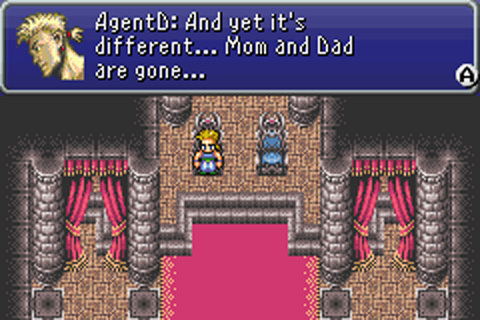 AgentD: She... She's gone... pink ? 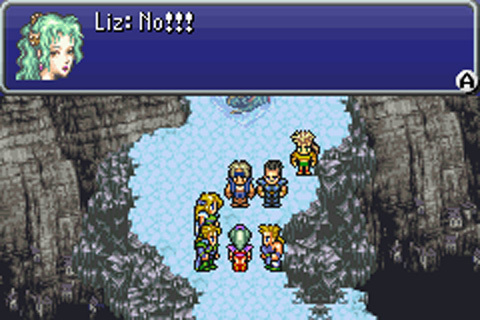 Everyone remains powerless as Liz flies away. Glad somebody remembered to bring the Fenix Down. 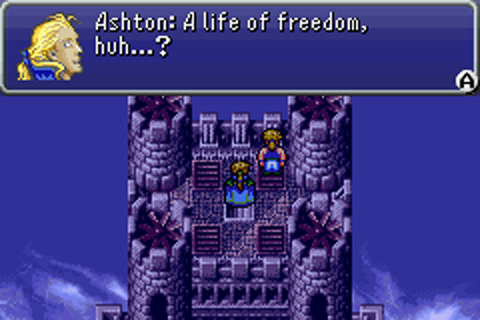 Although unanimated, Ashton enters the room. 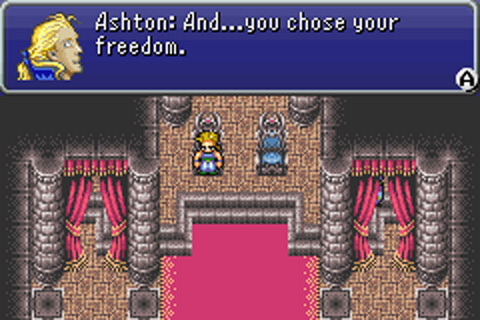 In the end, it is decided that Thoren and Eusis stay while Klutz, Alisha, AgentD and Ashton go. 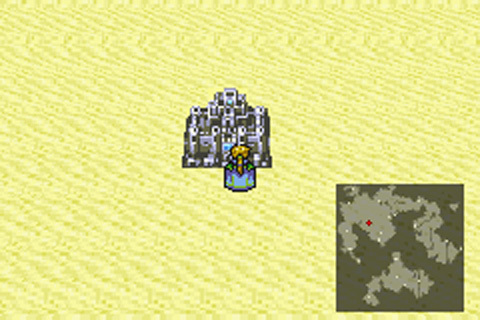 While heading west, an odd sight is seen. 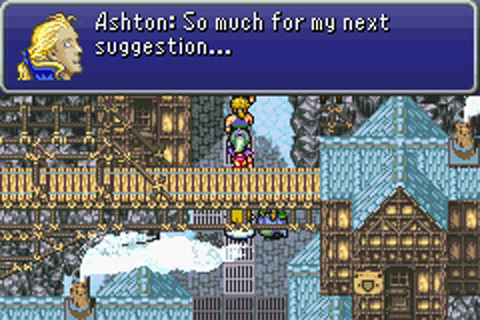 Ashton: Erm... didn't this place burn down to the ground? 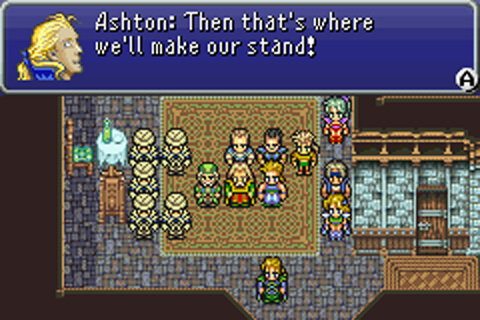 Guard: Our insurance covered arson, so we just built it back up with the money. 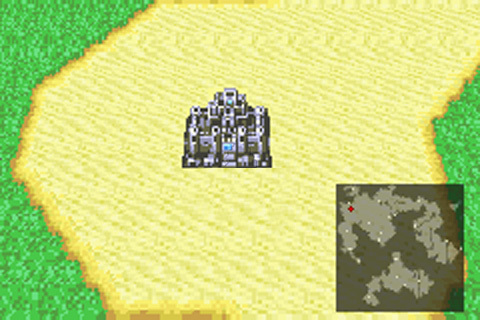 AgentD: This place was rebuilt? It looks the same. Let me go have a look. 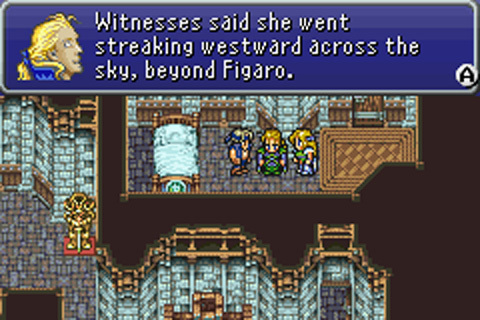 Witnesses also saw her streaking across the stadium field during the US v Germany game. 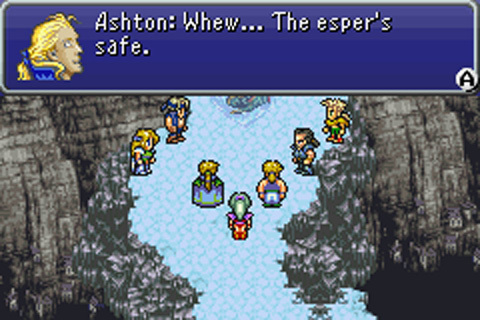 It was to be the only reason to ever watch that match. 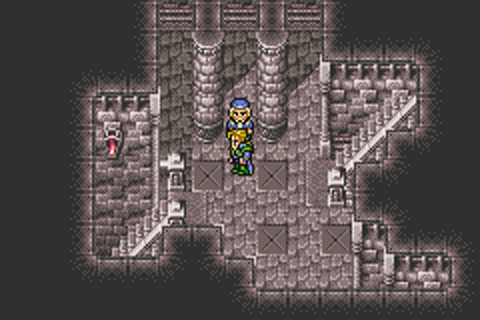 While walking around the castle debating how to cross the mountains to follow Liz who went West, the group bumps into 'the man in charge of the Engine Room'. 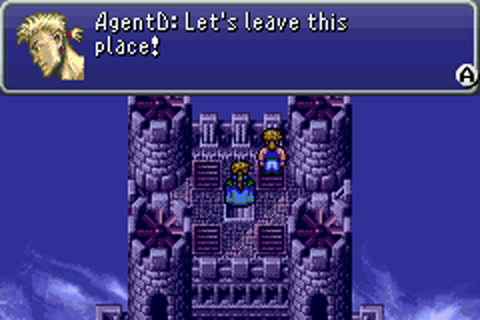 AgentD: Perhaps we could climb the mountains? 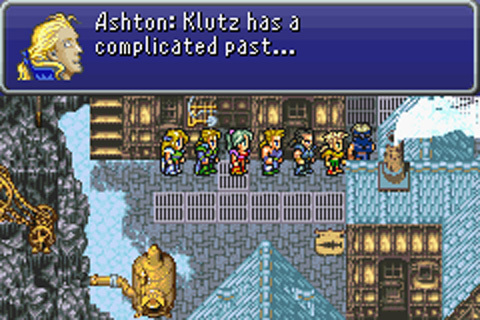 Klutz: We need a way West. Old man: With the extra money we received from the insurance after the fire, we did some science. 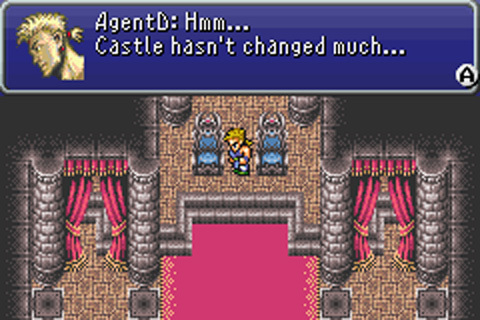 Old man: One of our projects was installing a teleporter on the castle. 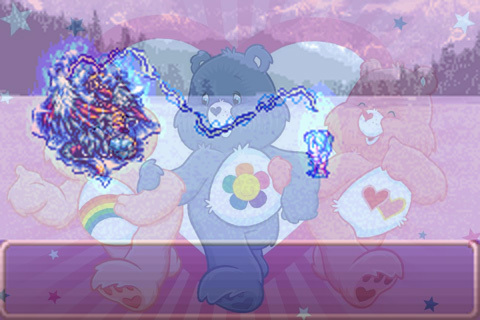 Somehow I knew that this thread would be necro'd now that it has its own board to stand out in. Now we just need the RPGFFan1 thread to get Fenix Down'd. 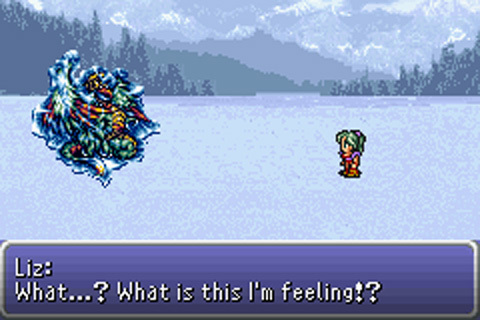 I hate admitting it, but I have trouble playing FF6 on anything but computer and that awesome 'speed up' button.